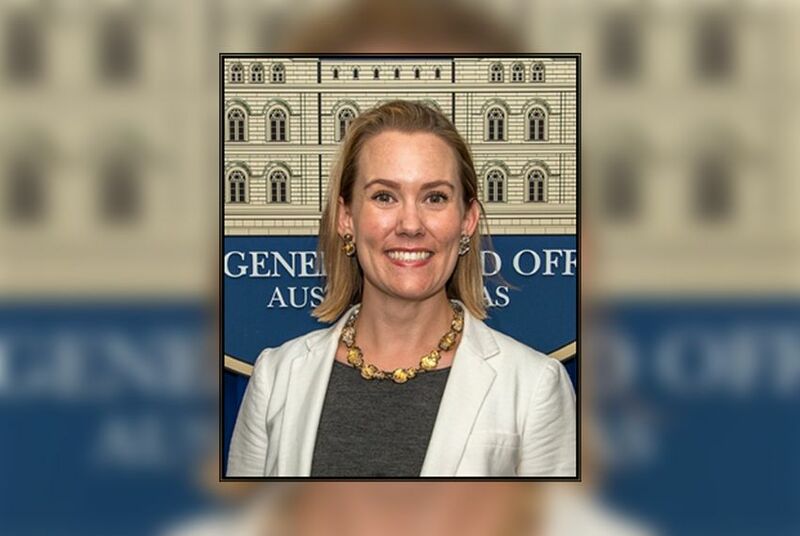 The U.S. Environmental Protection Agency has tapped Anne Idsal, a top official in the Texas General Land Office, to head its Dallas-based regional office. Idsal will join the agency as Region 6 administrator on Dec. 18, responsible for overseeing environmental issues in Texas, Arkansas, Louisiana, New Mexico and Oklahoma, including recovery efforts following Hurricane Harvey. The federal agency, which Texas repeatedly sued during President Barack Obama’s administration, has 10 regional offices, each headed by an administrator that acts as the local face of the EPA. “Regional administrators [here] play a critical role,” said Luke Metzger, director of the advocacy organization Environment Texas. “They’re really at the front line for dealing with pollution problems throughout Region 6, including in Texas,” he said, citing the flooding of hazardous waste sites during Hurricane Harvey as a recent example. Idsal will take the helm of the office against the backdrop of a dramatic curtailment of environmental regulations that began under President Donald Trump. EPA Administrator Scott Pruitt has succeeded in unspooling a range of environmental rules, including a proposed rollback of the Clean Power Plan and the unraveling of numerous regulations around emissions, air and water quality. News reports have also found the agency's enforcement activity has slowed. “Ms. Idsal will be entering into, I think, an agency that has changed directions dramatically for the worse on our environment,” Metzger said. At the Land Office, Idsal rose from general counsel to chief clerk, a high-level position charged with overseeing the budget and expenditures, according to a 2015 release from the office. There, she was by Bush’s side when he said he was giving the agency a “reboot” that resulted in the departure of numerous employees. As general counsel, she led an office of attorneys whose purview covered “issues relating to oil and gas, coastal lands, public lands, financial transactions and general law,” according to a Monday release from the EPA announcing her appointment. Gov. Greg Abbott said Idsal has been a “tremendous asset for the people of Texas in her current role” at the Land Office, and would “continue to be invaluable” at the EPA. “I thank Anne for her service to the State of Texas, especially for her dedication to her fellow Texans following Hurricane Harvey." Previously, Idsal was general counsel at the Texas Commission on Environmental Quality and worked in U.S. Sen. John Cornyn’s office. Her former employers, TCEQ chairman Bryan Shaw and Cornyn, were among several officials and organizations that issued statements lauding Idsal’s qualifications. But environmental advocates said they hoped Idsal would not "just follow orders from D.C.," as Metzger put it, and would make strides to prioritize the environment, especially in the aftermath of Hurricane Harvey. The federal agency had its hands full during and after the storm, responding to tainted water supplies and flooded Superfund sites. Harvey relief remains one of the regional office’s key issues. "Harvey illuminated EPA’s critical role in administering public health and environmental protections," said Elena Craft, senior health scientist at the Environmental Defense Fund. "With a career background in budget and spending, she may be shocked at the severity of proposed budgetary cuts to regional offices and states, especially after an environmental tragedy like Hurricane Harvey highlights that the agency has more work to do, not less." An EPA spokesman said Idsal was not immediately available to comment Tuesday. Disclosure: The Texas General Land Office and the Environmental Defense Fund have been financial supporters of The Texas Tribune. A complete list of Tribune donors and sponsors is available here.